is there anything in the log file wrong? but I don't understand how it can work before and not now? No, I do not have the USB plugged in. I don't have the entry. Doe this give me an advance on how to fix it? Also I tried installing it on my cousins laptop and it worked, what is wrong with mine??? 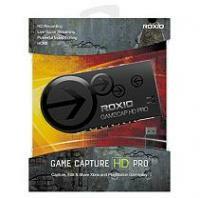 "roxio Game Capture Hd Pro Wizard Has Been Interupted"
ok, but there is nothing at all I can do ? I followed everything you said but still no difference it comes up saying "Roxio Game Capture HD Pro Wizard Has Been Interrupted" is it my pc? because I updated everything in the windows update ?? your sure there is nothing else?